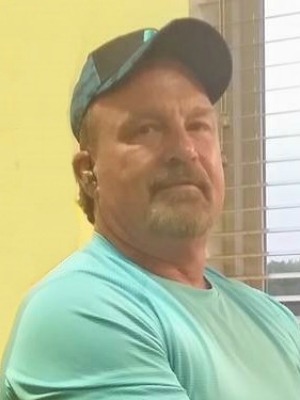 Venus-Charles “Chuck” Darrell Jessup, Jr. passed away Thursday, November 1, 2018 in Mansfield, Texas at the age of 54. Celebration of life: 11 a.m. Monday, November 12, 2018 in Brown, Owens & Brumley Funeral Home’s Joe B. Brown Memorial Chapel. Burial: 2 p.m. Monday, November 12, 2018 in Venus Memorial Park in Venus, Texas. Visitation: 2-4 p.m. Sunday, November 11, 2018 at the funeral home. Chuck was born October 23, 1964 in Fort Worth, Texas. He really loved drag racing and he loved sharing it with his best friends, his father, Charles and brother, Tim. He was preceded in death by his mother, Glenda Mae Jessup. Survivors: Daughters, Dana Jessup, Brandy, Jessup and Stacy Jessup; grandchildren, Isaiah Jessup and Damari Jessup; dad, Charles Jessup, Sr. and wife, Melinda; brothers, Tim Jessup, Sr. and wife, Freida, David Jessup, Sr., Jody Jessup and Michael Jessup, Sr. and wife, Sherrie; step-brother, Nathan Johnson; step-sister, Misty Johnson; nieces, Crystal Jessup, Callie Bruce and husband, Justin, Robin Fraga and husband, Juan, Kari Beason and husband, Jimmy and Megan Jessup; nephews, Tim Jessup, Jr., Harley Fitzgerald, David Jessup, Jr., Chris Jessup and Michael Jessup, Jr.; friend and mother of his daughters, Brandy and Stacy, Renelle Jessup; friend and mother of his daughter, Dana, Missy Player and many other friends and extended family members. Offer Condolence for the family of Charles “Chuck” Jessup, Jr. The post Charles “Chuck” Jessup, Jr. appeared first on Brown Owens & Brumley Family Funeral Home & Crematory. View Original Notice ? Charles “Chuck” Jessup, Jr.